What happens when you take a perfectly good neural network and, figuratively, stick a screwdriver in its brain? writes Tristan Greene, sailor gleefully writing about consumer-friendly artificial intelligence advances. You get melancholy glitch-art music videos that turn talking heads into digital puppets. A machine learning developer named Jeff Zito made a series of music videos using a deep learning network based on Face2Face. 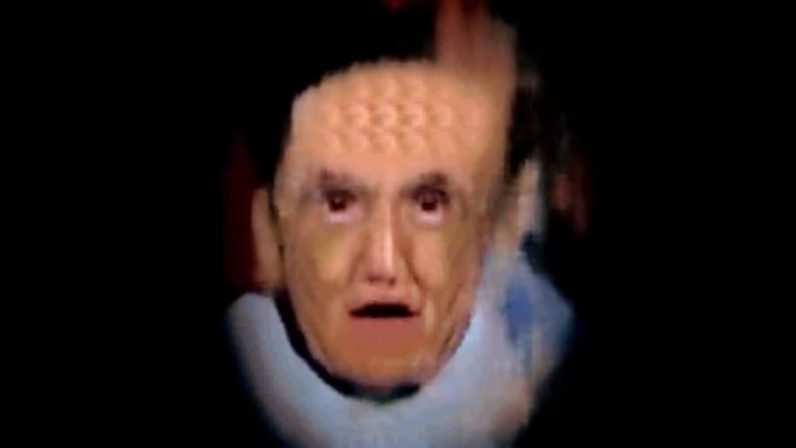 Originally developed to generate stunningly realistic image transfers, like controlling a digital Obama in real-time using your own facial movements, this project takes it in a different direction. Sometimes the best AI isn’t good enough. When it comes to art, for example, computations and algorithms often don’t matter as much as chaos and noise do. By fiddling with the network’s controls – essentially introducing less-than-optimum parameters — Zito was able to generate stark videos that remind us of everything weird about Max Headroom. The intention was to create art, absolutely. Training these networks with hi-def images takes days on the cloud, which unfortunately is not free, so there’s not a lot of room to experiment in a purposeless way. We had a few unsuccessful attempts, which in this backwards world means producing content that’s too accurate and sterile, before we started to understand what kind of content to use and how to utilize it effectively.